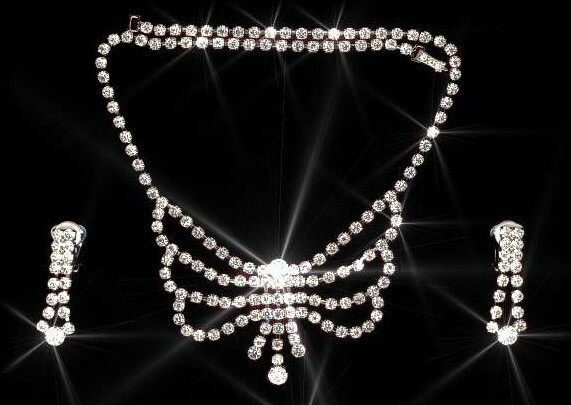 The sheer glitz and glamour of this dazzling vintage Czech Crystal trio will set you up for every occasion from a sultry seduction, or intimate dinner, to a raucous party or night out clubbing. Every tiny movement unleashes a bling factor that will charm and dazzle every onlooker. Necklace Length 42cm (16½") Drop 4.5cm (1¾"). Antique Silver finish. Earring - Clasp - drop 4cm (1½").